This Apple 16 GB tablet is a smaller version of the popular Apple iPad tablet that provides information, communication, and entertainment on the go. 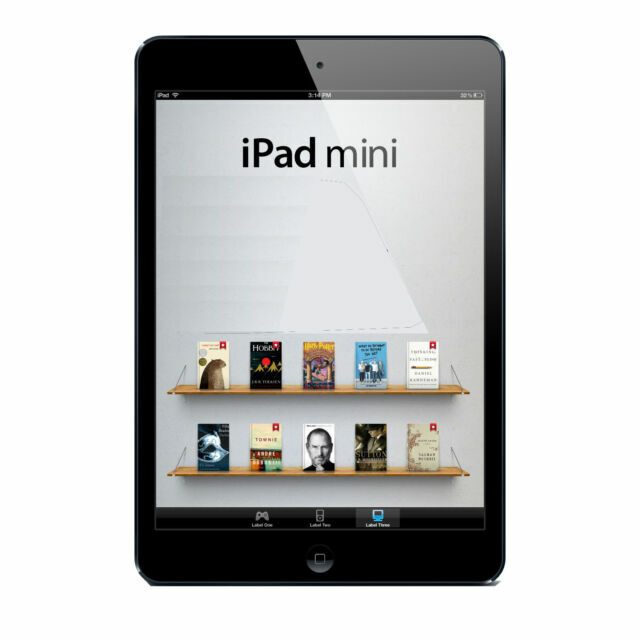 With a stylish black and slate chassis, the Apple iPad Mini is an elegant accessory that is also ultra-thin and can fit in any bag. While this 7.9-inch tablet is a space-saving mobile device, it also provides reliable high performance for the user. In addition to the built-in Wi-Fi, the Apple 16 GB tablet connects to the Internet via 4G (Sprint) networks, thus being able to go online even in places with poor Wi-Fi coverage, such as in a train. The super-thin indium tin oxide coating used on the Apple iPad Mini is designed to improve the connectivity capabilities by reducing crossed signals and interference. Equipped with a high-definition forward-facing FaceTime camera, this versatile 7.9-inch tablet allows the user to enjoy video chatting with family and friends. The Apple 16 GB tablet can also be used to take photos as it features a 5 MP rear camera. It's also compatible with Boost Mobile, U.S. Cellular, Straight Talk, Verizon Carriers. Simple, clean, & easy to use. The user interface is user friendly. The small size makes it a sure fit for mobility. This is awesome!! My customer loves his new ipad. He says it moves seamlessly. Great deal!! !